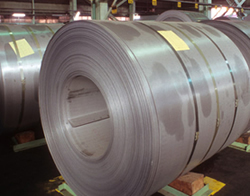 Xiderex Steel Experts offers a wide range of products for steel technologies and processes, focused on increasing productivity and quality assurance. 100% Synthetic lubricants for cold mills (4H, 6H, Tandem and Sendzimir Mills). Caustic detergents for Electrolytic Cleaning Lines. Including conventional processes and High Current Density. 100% Synthetic lubricants for temper mills (high and low elongation). Acid inhibitors for pickling lines. Protective lubricant for reducing oxidation. Heavy duty hand cleaning solution.